Dubai: Mohammed bin Rashid Al Maktoum Foundation (MBRF) has completed the translation of the Paralympic Summer Games’ rules into Arabic to be published on the portals of international federations. The Foundation had taken on the translation project – in partnership with Dubai Club for the Disabled – last year, in an effort to encourage athletes with special needs to participate in world championship events, as well as to support coaches in the Arab region. 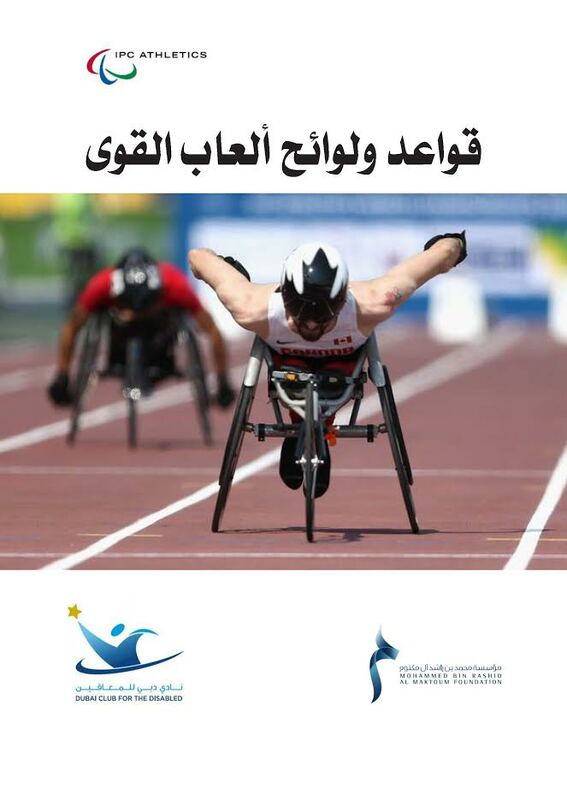 The initiative aims to make the rules of Paralympic Summer Games available in Arabic on the websites of international sports federations, in time for the start of the Paralympic Games in Brazil. The Arabic version of the rules is set to be launched on the sidelines of the Frankfurt Book Fair in 2016, which MBRF will be participating in. The translation of the rules into Arabic complies with the Foundation’s objectives to promote the use of the Arabic language and make Arabic online content more available and accessible, explained HE Bin Huwaireb. Meanwhile, Thani Juma Berregad, Chairman of the Dubai Club for the Disabled, expressed his satisfaction with the completion of the translation project, which was one of the objectives from the collaboration with MBRF. Moreover, the club had signed an agreement with the International Paralympic Committee to translate the rules of 24 accredited sports games for people with disabilities into Arabic, to be published on international federations’ websites. Berregad lauded the Foundation’s efforts to empower people with disabilities by adopting social initiatives that seek to enrich both the athletic al cultural arenas. The Chairman also pointed out that the Dubai Club for the Disabled has launched a number of initiatives – including this one – to put Dubai and the UAE on the map (WHICH MAP!!). The goal of the initiative is to translate into Arabic 24 booklets issued by international sports federations and containing the rules that regulate a number of sports for people with disabilities. This makes the information readily available for all stakeholders, in addition to promoting the Arabic language and placing it on par with other languages used by the International Paralympic Committee and its affiliates. Many organisations stand to benefit from the translation project, including: Arab Paralympic committees, national sports organisations, Arab sports federations for people with disabilities, and Arab sports clubs – in addition to professionals working in the field such as coaches, referees, players, teachers, and administrators.